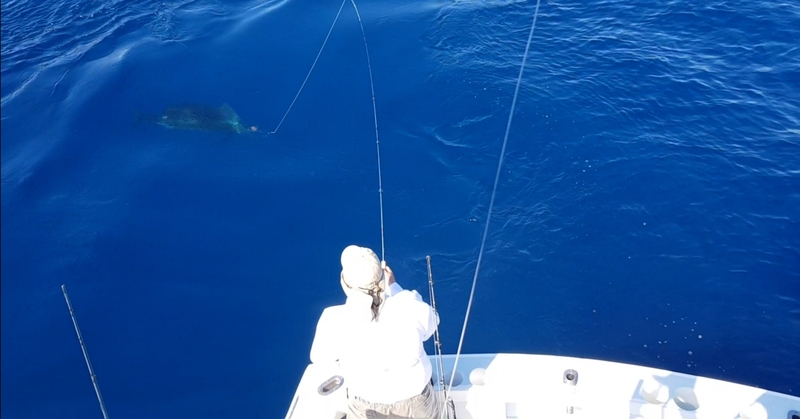 Today we were blessed to come across four sailfish and released one. 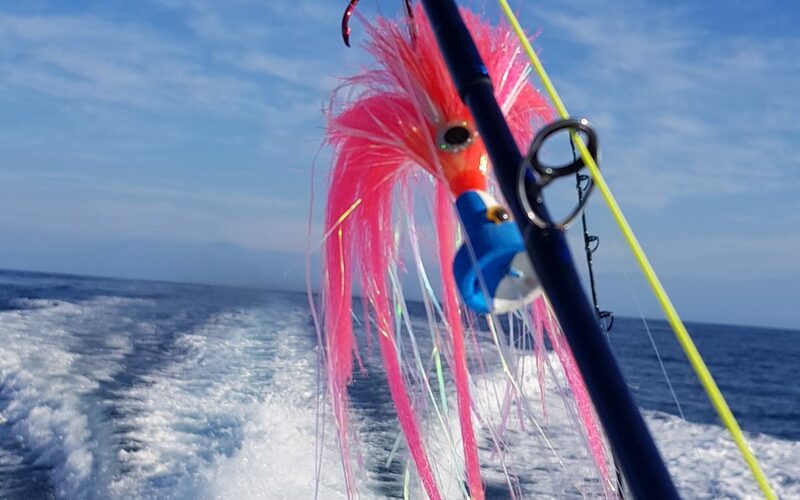 The averages are not quite as good as when fishing with conventional gear for pelagics “On the Fly” but it is well worth it. 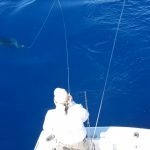 When fly fishing, sailfish and marlin chase the teasers all the way up to the back of the boat and the angler gets to look the fish in the eye while presenting the fly a few feet off the back of the boat. Watching the fish spot the fly as it hits the water and attack is simply awesome!